Explicit Ep 23 - Peace Sells, But Who's #ALLIN? 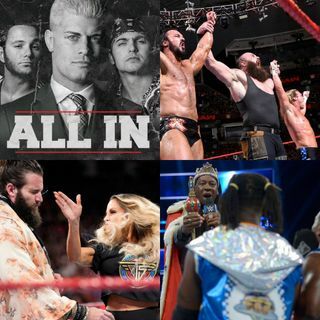 Matt & Eric dig into Braun Strowman - teaming with Ziggler and MacIntyre, the tragedy of Becky vs. Charlotte not being in a Cell, the return of King Booker and Trish Stratus, and Kevin Owens quitting. Plus, Matt does a little preview of ALL IN because he's going to it and Eric isn't. MEAT SHACK!